Hard Floor Maintenance Domestic & Commercial Waltham Forest E | Quality Property Care Ltd.
Don`t hesitate to get rid of the bacteria and the dull spots, micro scratches and watermarks from your floor with the assistance of our expert hard floor cleaning experts. Get in touch with us on 020 3746 4287 to make a reservation or to get further information about our services. We are available for you 24 hours a day and 365 days per year - including in national holidays and weekends! We have a special approach into natural floor restorations. We always approach each individual floor individually, so just before the floor polishing procedure, we always examine the surface at first. Once we spot the damages and the issues, we continue removing them with high-quality methods and green products with zero risk. Thus, the floor remains intact and 100% refinished to make you happy again every time you look at it! Want to get that all? You will get at a bargain price and for all of these natural floor types: granite, soiled tile, concrete marble, tile, terrazzo, limestone, sand stone, travertine, york stone, terracotta, slate, victorian geometric quarry tiles floors. Get an ideal floor cleaning for Waltham Forest E linoleum, laminate floors, vinyl, karndean and amtico floors. To make sure these floor types receive the best approach into surface soiling, polishing, stripping and cleaning and buffing we apply modern technology, pressurized cleaning, emulsification, heat, and effective capture of the waste. Once the floor and grout surface have been professionally cleaned ongoing protection is achieved with an impregnator. All the procedures from Quality Property Care Ltd. are risk-free and performed by well-trained floor cleaning Waltham Forest E technicians! 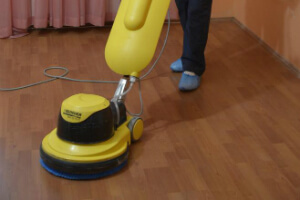 Quality Property Care Ltd. has long years of experience in cleaning and restoring hard floors of the businesses and residents of Waltham Forest E. The cleaners are equipped to clean and trained, remove stains, and polish and seal for protection to help avoid slippage and scratches. The specialised grout and tile cleaning company also offers professional grout colour sealing and recolouring, to rejuvenate your tile floor. 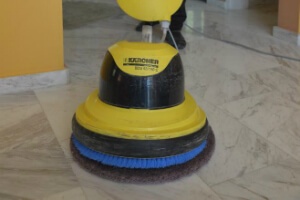 Also, you can get professional vinyl floor cleaning, professional slate and stone floor cleaning and professional floor sealing and polishing services, by booking one or more of its services. Common services provided, include: vacuum cleaning, spray applying, additional scrub, and a thorough dry and rinse of the floors. The booking slots are available 7 days a week, and all services are insured and constantly monitored and assessed for quality compliance.